The Lenko Family has been a grape supplier for over 40 years. The wineries that used the Lenko high quality vinifera grapes have won significant awards in both local and international competitions. The vineyard is home to the oldest Chardonnay and Merlot vines in Canada, which produce fruit with intense flavours. Daniel Lenko, uses his experience, knowledge and skills to grow the best possible grapes in the Beamsville Bench to produce his own estate wines. 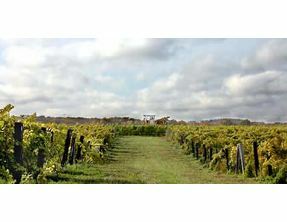 The wines produced at the estate winery are all grown in the vineyard on the property, VQA approved and estate bottled. Since the Merlot and the Chardonnay are among the oldest vines in Canada, they bear the title of “Old Vines”. All wines are ages in both French and American Oak Barrels. Tastings of the wine are available on weekends from 12 pm – 5 pm in February to July.